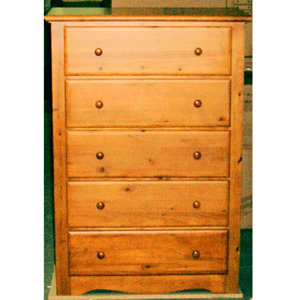 Ponderosa 5-Drawer Chest In Honey Pine, Cherry or Espresso. Strong Construction. Ships fully assembled only the knobs need to be installed..